Missouri's Republican-led House has squashed an attempt by Democrats to expand Medicaid eligibility. 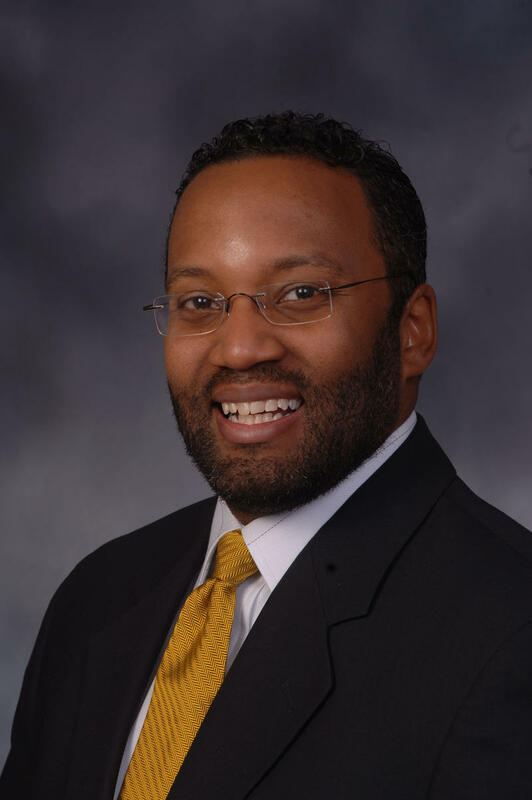 Members voted 102-41 against a proposal by Columbia Democratic Rep. Kip Kendrick to broaden eligibility under former President Barack Obama's federal health care law. An attorney for the so-called “Medicaid 23” says his clients will appeal their convictions on trespassing charges, even though they face no jail time. A Cole County, Missouri, jury on Wednesday acquitted 22 clergy members of obstructing government operations but found them guilty of trespassing when they refused to leave the Missouri Senate gallery during a protest in May 2014. The case of the 23rd defendant will be decided later. The trial of 23 people who protested Missouri’s failure to expand Medicaid began today in Jefferson City with jury selection. 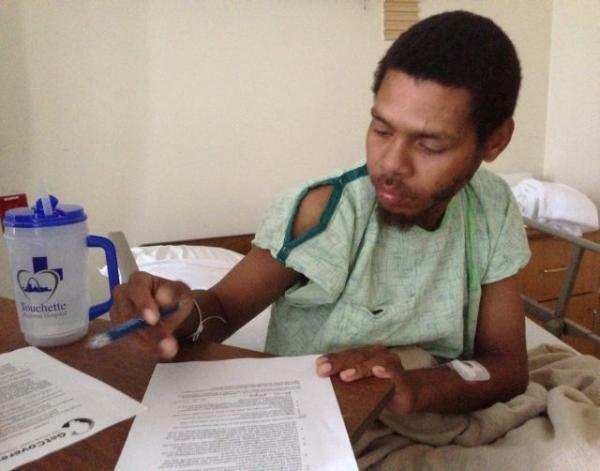 The so-called Medicaid 23 defendants include many notable Kansas City clergy members, among them Sam Mann, Wallace Hartsfield and Vernon P. Howard Jr. They are accused of trespassing and obstructing government operations, both misdemeanors. As the state – and his reputation – seeks to move beyond Ferguson, Missouri Gov. 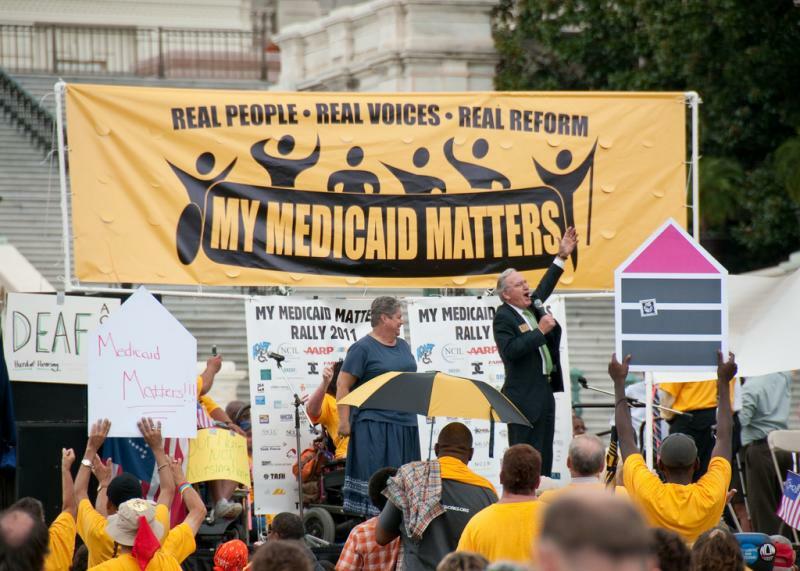 Jay Nixon is rekindling his longstanding pitch in favor of expanding Medicaid. And Nixon may be seeking to subtly link the expansion with Ferguson’s headline-grabbing racial and economic unrest, by emphasizing what the state has been giving up in federal money – and what he said has resulted in less help to those who need it. Ozarks Community Hospital says it will lay off up to 60 of its employees in the Springfield area. How divisive was the debate over Medicaid expansion in Missouri this year? 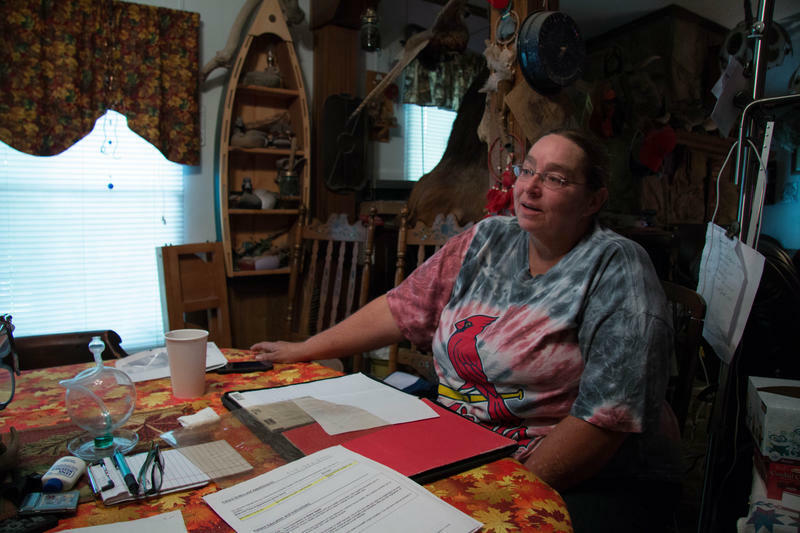 Just ask Debbie Cole, a 51-year-old mother of four who lives in Butler, Mo., and signed a petition asking state legislators to extend Medicaid to cover more low-income residents. “We all live different lives, and some people out there may be working two or three jobs and have no insurance, and they need it to survive,” she says. 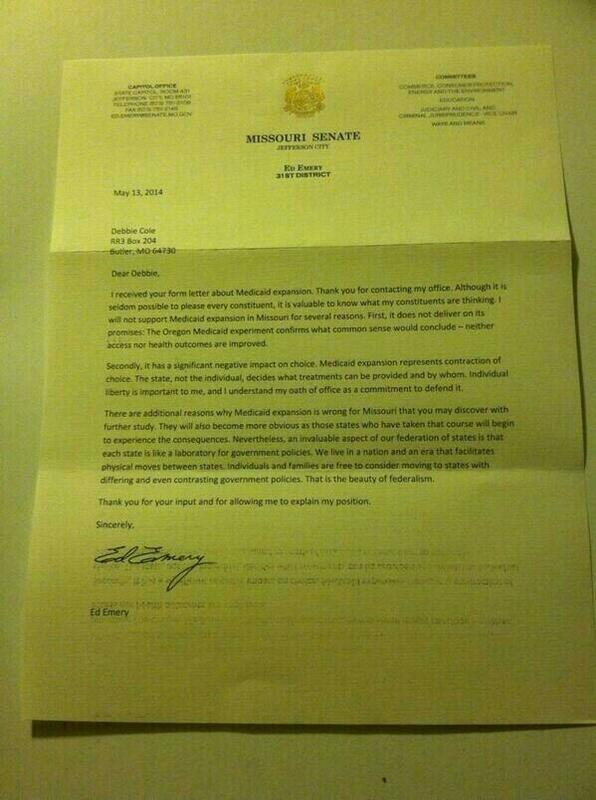 About a month after signing the petition, Cole got a letter from her state senator, Republican Ed Emery of Lamar. 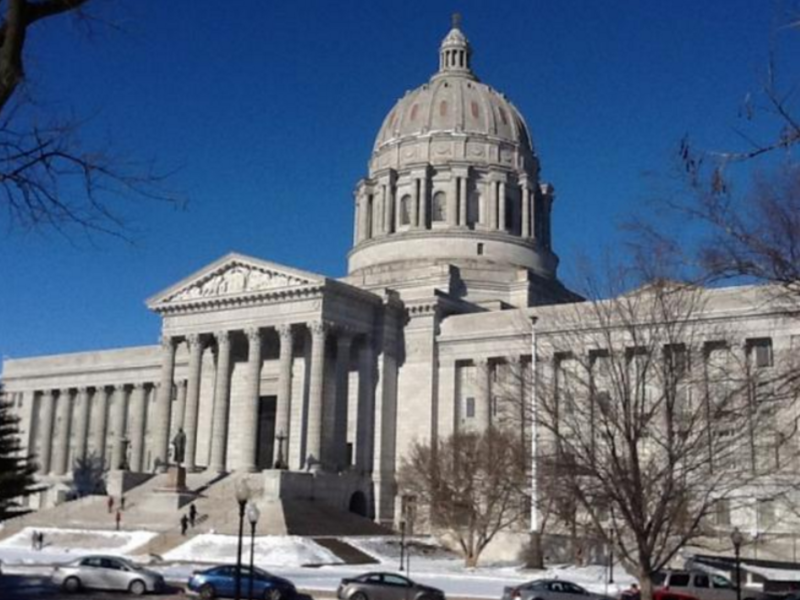 By now Missourians are familiar with the debate over expanding Medicaid in the state. 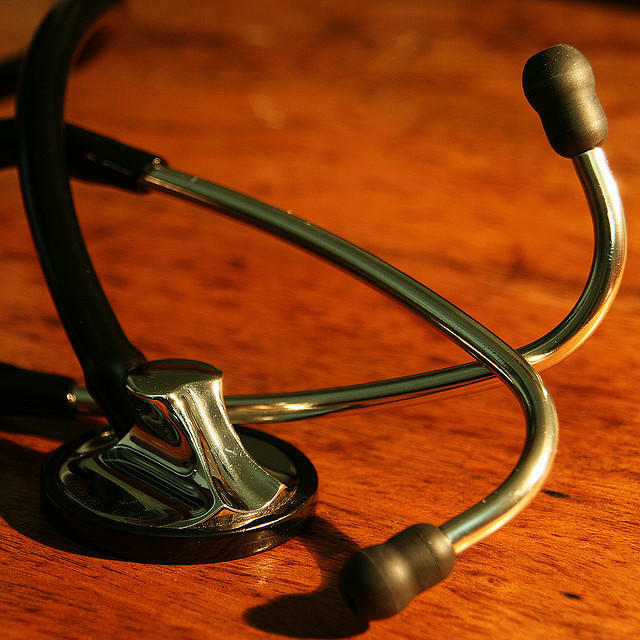 Medicaid expansion has been a widely talked about subject throughout the state of Missouri. 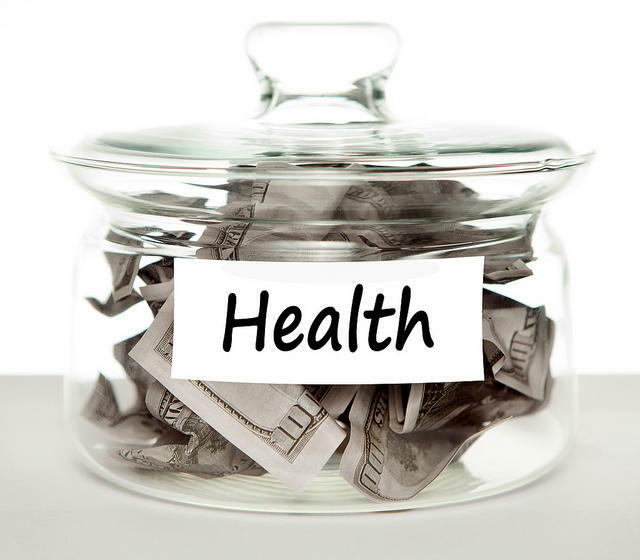 Medicaid is federally funded state healthcare program for those that do not make enough money to be their own healthcare, or their employer does not provide it for them. The Medicaid policy in place now only covers those who make less than $4,500 a year total for a family of four. It also allows subsidies paid to those who make more than $89,000 a year. Those in between this gap are left without health insurance. Former U.S. Sen. Kit Bond was tapped by the Missouri Chamber of Commerce to get Medicaid expansion across the finish line. 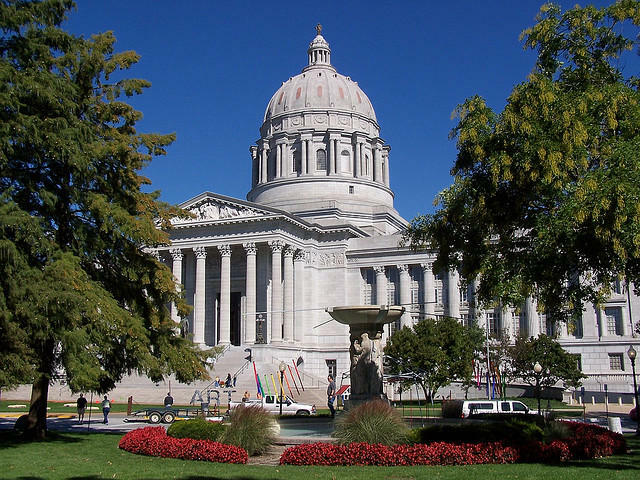 Missouri lawmakers are poised to give final approval to a state budget that could restore Medicaid benefits that were cut a decade ago. Twenty-three Clergy members were arrested Tuesday during a rally at the capitol. The rally, by the group Missouri Faith Voices, was meant to get state senators to expand Medicaid eligibility. Over 300 members of Missouri Faith Voices gathered in the rotunda for a rally before certain clergy members moved into the Senate Gallery. While, other members showed support outside of the gallery, the select clergy members sang and prayed out loud for about an hour before police arrested them. A renegade Republican has teamed up with minority party Democrats to deliver the first affirmative vote of the year for a plan to expand Medicaid eligibility. 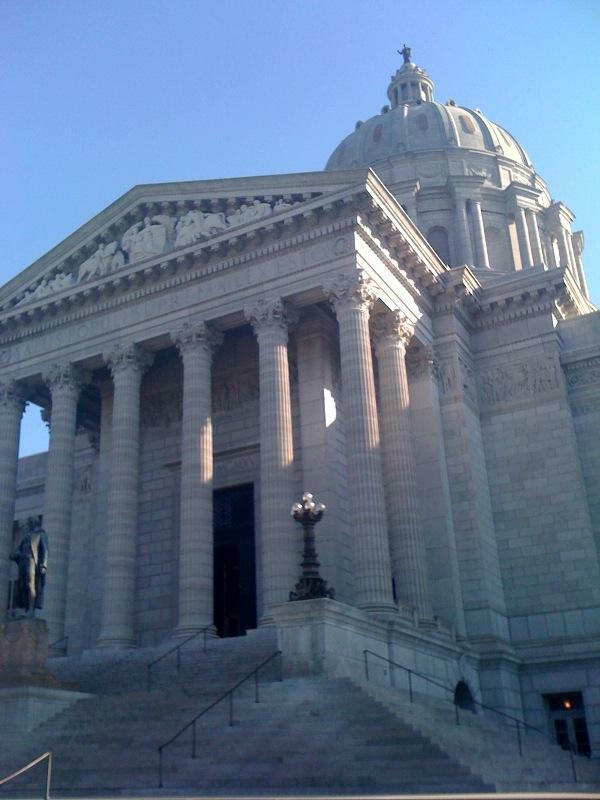 The Missouri Senate passed the rest of the state budget Tuesday April 29, after taking care of the first 5 bills on Monday. 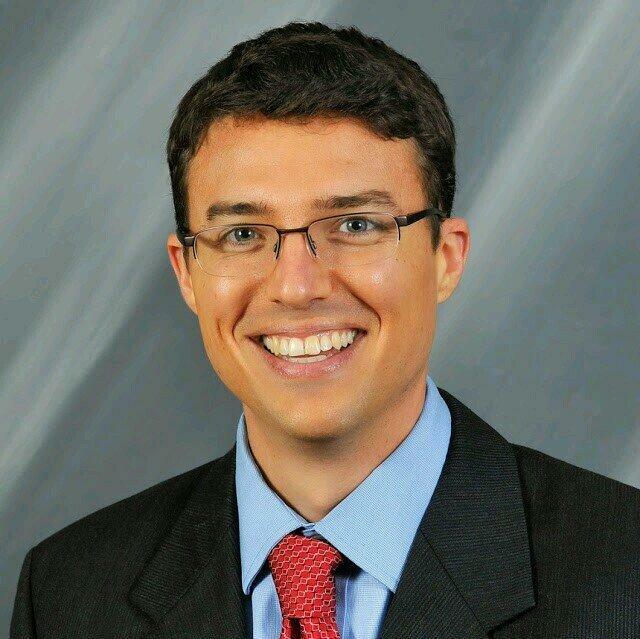 Democrat Paul LeVota of Independence made an indirect attempt to expand Medicaid. He offered an amendment to create a line item in the Department of Social Services’ budget for extra Medicaid dollars to be drawn down if lawmakers ever decide to expand Medicaid. Republican Kurt Schaefer of Columbia opposed the amendment. 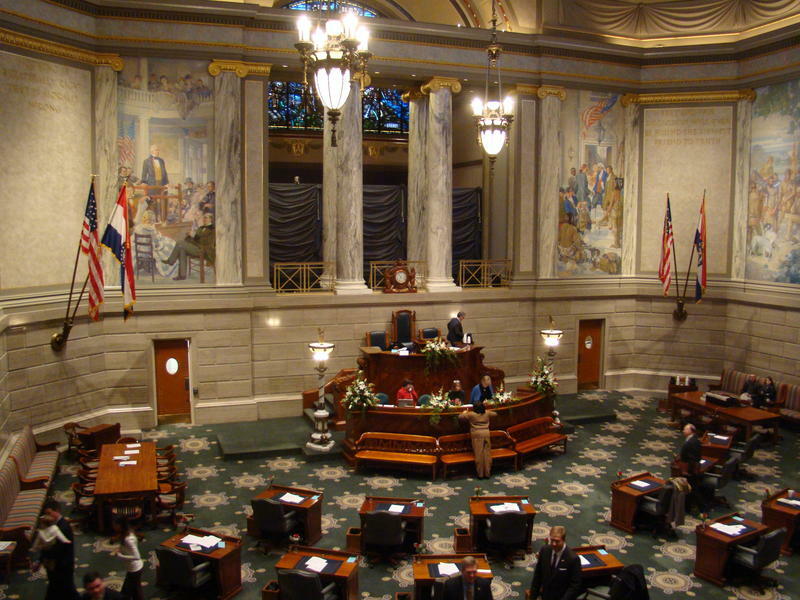 In the final weeks of the legislative session, Missouri Gov. 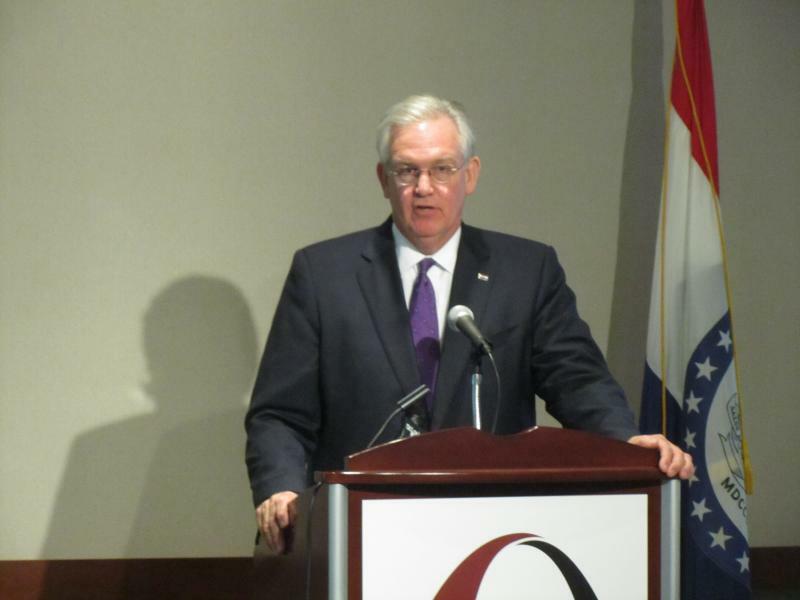 Jay Nixon has made a last-ditch effort to resurrect a push to expand Missouri’s Medicaid program and accept roughly $2 billion a year in federal money. The governor, a Democrat, unveiled his “Missouri Health Works’’ program before business leaders Monday in Cape Girardeau. By coincidence or design, state House Speaker Tim Jones, R-Eureka and an opponent of Medicaid expansion, was also in Cape on Monday with conservative low-tax icon Grover Norquist to highlight a different issue. Some Missouri Republicans have adamantly opposed expanding Medicaid to low-income adults by tapping into billions of federal dollars under President Barack Obama's health care law. 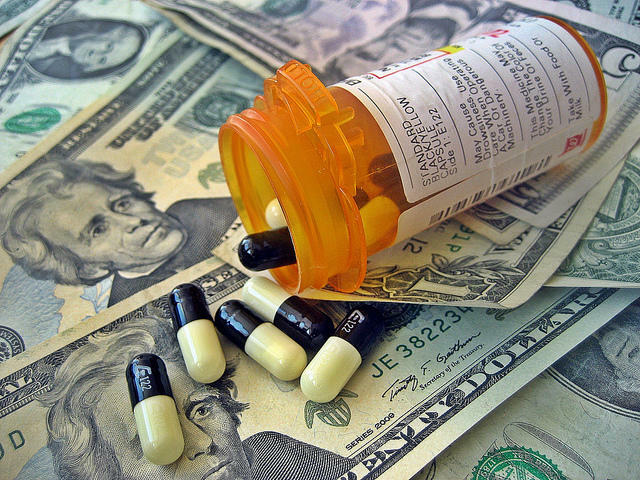 Illinois expanded its Medicaid program. Missouri didn’t. How are those choices working out? 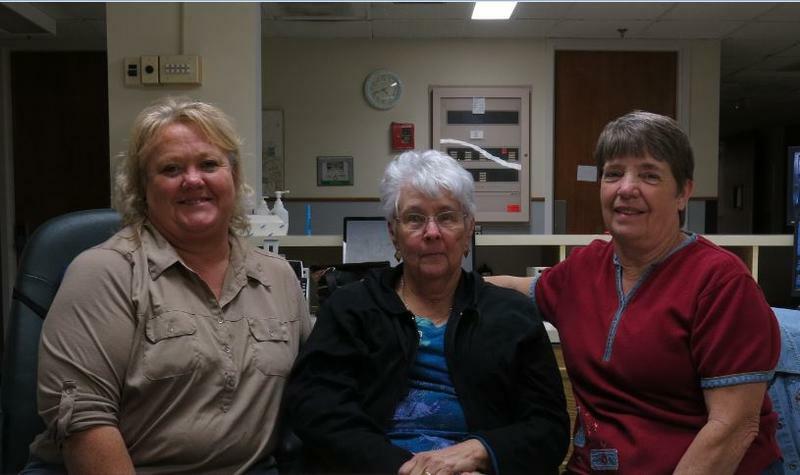 Listen to this story as it aired on KBIA's Under The Microscope. For years in most states, Medicaid eligibility had been limited to disabled adults, seniors needing long-term care and very low-income parents with their children. Then along came the Affordable Care Act. It was designed to grow health insurance coverage across the board. One of its tenets was to expand Medicaid coverage beyond the extremely poor and disabled to include all adults earning up to 138 percent of federal poverty levels. But in 2012, the Supreme Court gave states the chance to opt out Medicaid expansion. Illinois is one of 25 states that went ahead with expanding the program. Neighboring Missouri did not. We looked into the impacts of those differing decisions. Here’s what we found out. Missouri lawmakers are hearing pleas from low-income workers, business leaders and pastors to expand Medicaid coverage. Witness testifying Tuesday before a House committee want lawmakers to expand Medicaid eligibility to adults earning up to 138 percent of the federal poverty level — nearly $33,000 for a family of four. States that do so can receive billions of additional federal dollars under President Barack Obama's health care law.